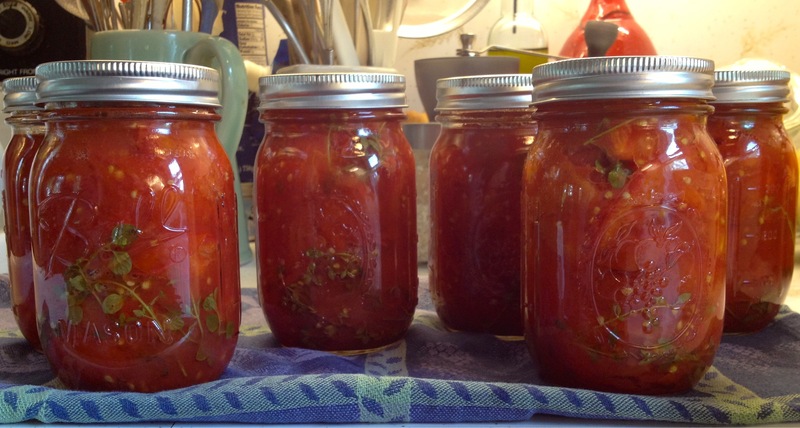 So here’s what I did with the eleven pounds of tomatoes. I made 2 batches of oven dried tomatoes, which my whole family adores. They are very slowly oven dried which brings out intense flavor and sweetness. Drenched in olive oil with crushed fresh garlic and herbs they will keep for a month in the refrigerator – ha – if they should last so long! What do you do with these? 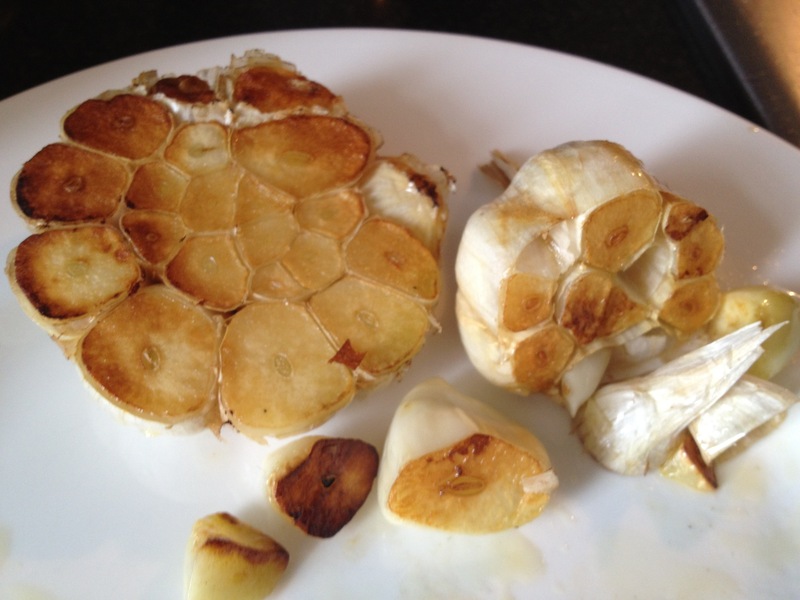 Eat them as they are, as a side with dinner or chop them up and throw in pasta for a quick sauce. Serve with broccoli rabe, sautéed scallops and lemon for a fantastic main course or throw on a pizza. Don’t worry, you will think of a myriad of ways to use them. Just make them and you won’t be sorry. And they’re so easy, all you need is time, 6 – 7 hours and you’re set. 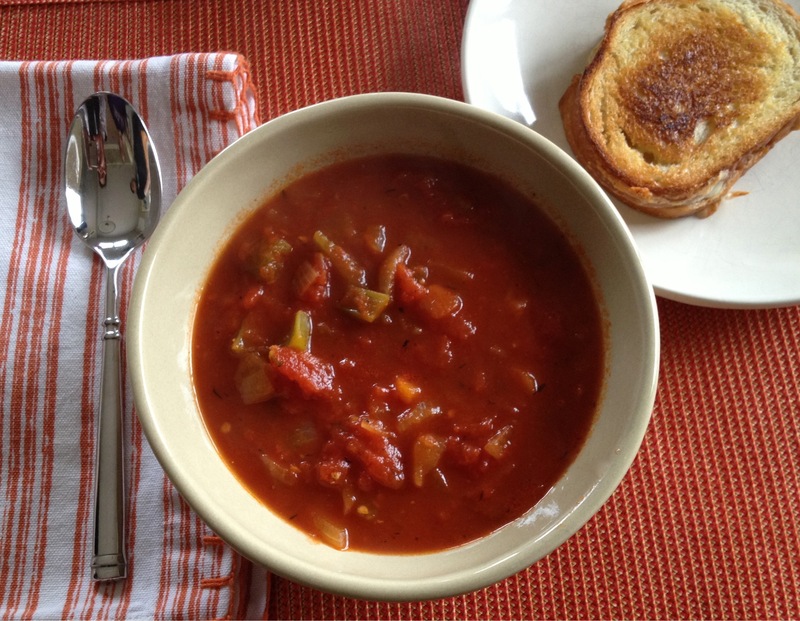 The basis of this recipe is from the Union Square Café cookbook. 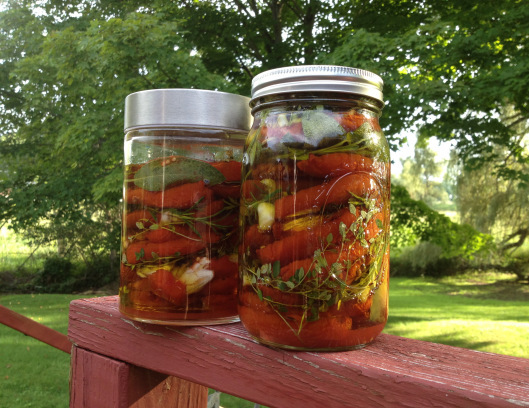 The “canned” are simply the fresh San Marzano tomatoes, washed, cored and roughly chopped, cooked until the liquid boils and jarred with sprigs of fresh thyme. Ethel encouraged me to do them like this – naked – so I would have choices in the winter to do whatever I wanted with them. I couldn’t resist adding the thyme sprigs from my garden. Besides, it looks so pretty, doesn’t it? I processed these jars for 10 minutes in boiling water. UPDATE: I FOUND OUT THAT THE FRESH, JUST WASHED THYME COULD CONTAMINATE THE TOMATOES, SO DON’T ADD THE THYME AT ALL OR BOIL IT WITH THE TOMATOES. 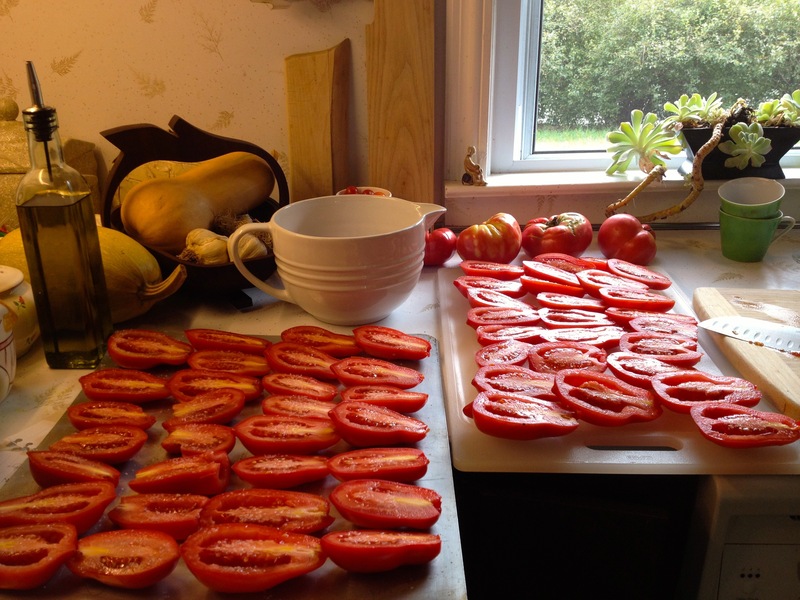 Wash, core and halve the tomatoes lengthwise. Sprinkle each half with the salt and let sit for one hour. Preheat oven to 200 degrees. 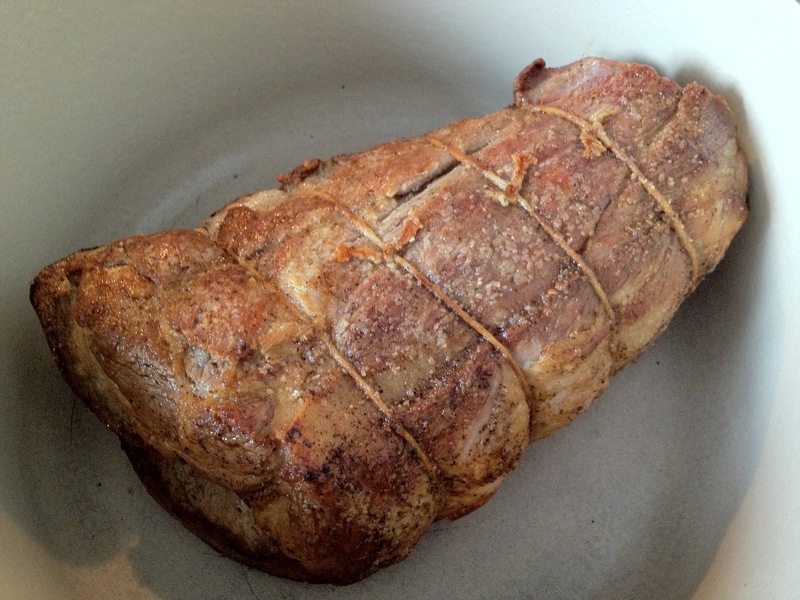 Bake in the oven for 5 – 6 hours. (5 works for me but it depends on your oven). They should be dried but still slightly plump. Let cool. 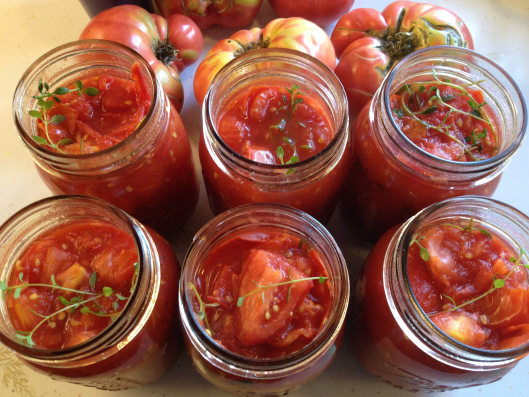 Layer tomatoes, garlic and herbs in a clean glass jar. Cover with olive oil. Store in the refrigerator. Enjoy!! My husband and I were asked to take in a French graduate student for 4 months to live with us. We take on French interns at the office but this was the first time we were asked and considered doing this. Quite frankly, our oldest son had such a great experience living with a family in Tuscany for his semester abroad, we thought it was our turn to pay it forward. Charlotte was due to arrive this past Sunday evening so I wanted to make a special meal but of course one that would hold up if she was two hours delayed in getting through customs. 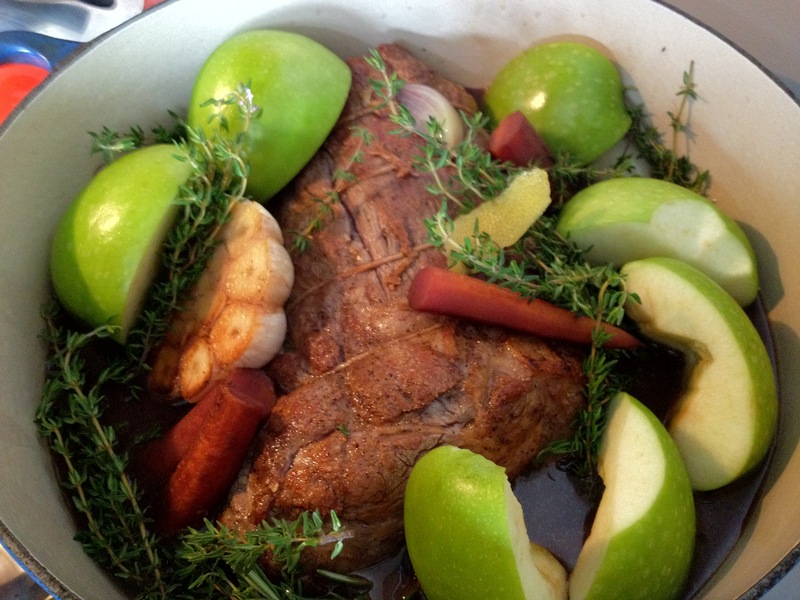 So I made this amazing pork roast – my husband and son said it was better than my version of Julia Child’s Beef Bourguinon – and way easier. 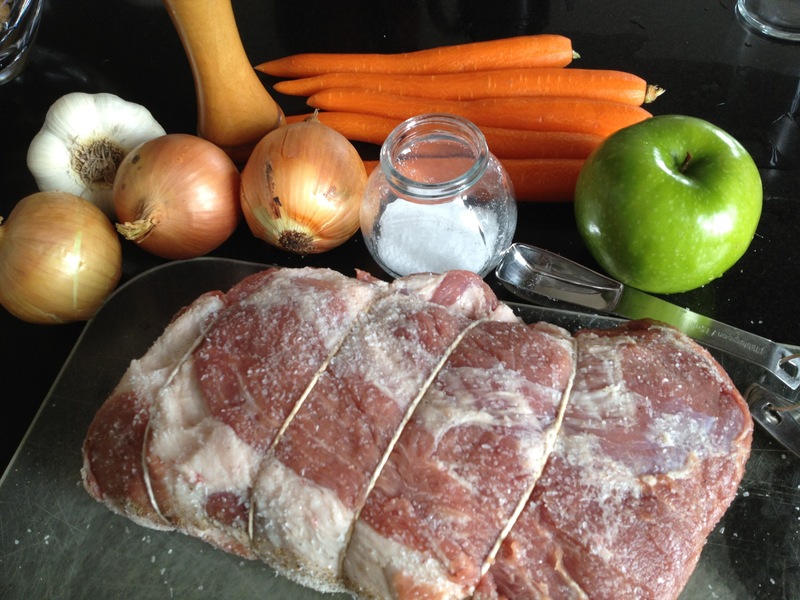 Recipe to come! 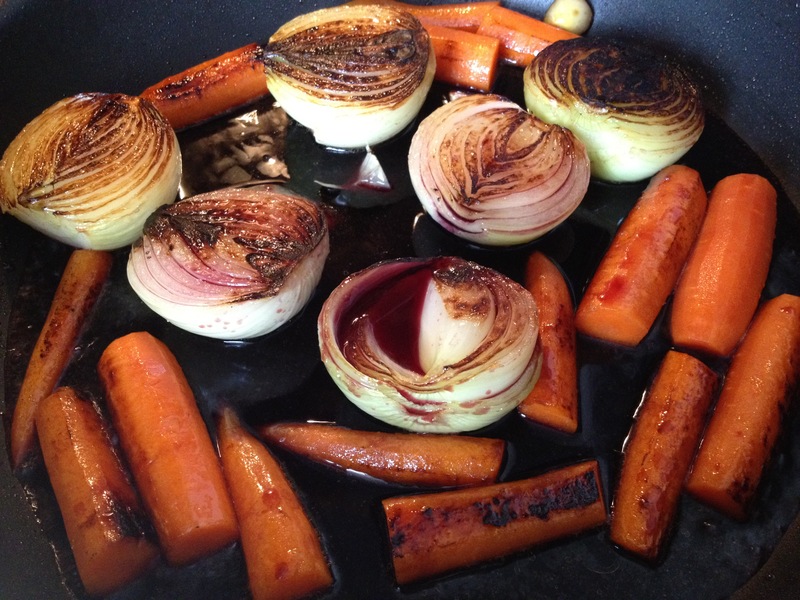 But while I was making everything, I needed a little snack and had to test the wine that was going into this dish. 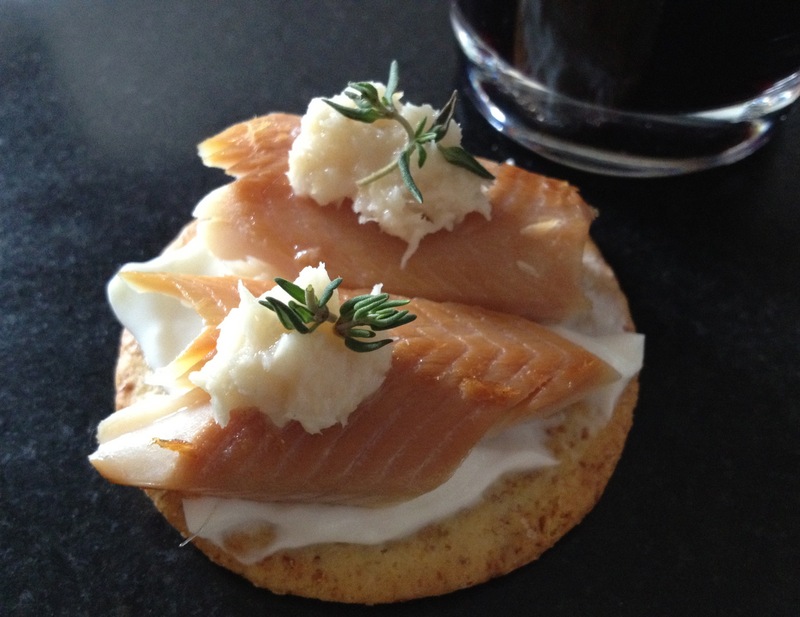 So I fixed a little smoked trout on a Breton cracker with a smear of plain Greek yogurt, a dab of horseradish and a bit of fresh thyme. With a taste of red wine in a little juice glass and the sunlight streaming through the window, isn’t this just the prettiest little picture?